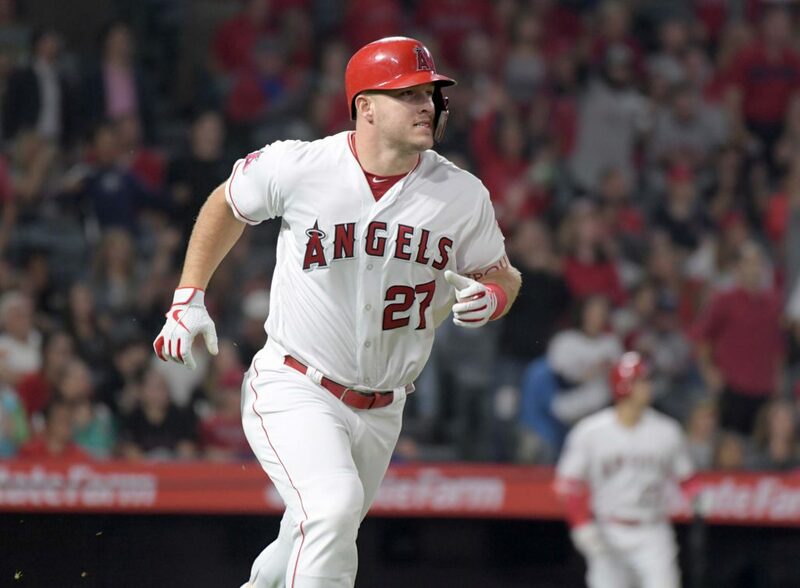 To avoid a bidding war at the end of the 2020 season, the Los Angeles Angels are close to finalizing the largest contract in sports history with Mike Trout. The deal is reportedly worth $430 million over 12 years, which would keep the best player of this generation on the Angels for the rest of his career. The news comes less than a month after fellow star Bryce Harper agreed to a $330 million deal with the Philadelphia Phillies. If this deal goes through, the deal would not only give Trout the largest contract sum in history, but also the largest per year average among any player at $36 million. This would top the previously record of $34.4 million a year that Zack Greinke currently has with the Arizona Diamondbacks. If there was anyone deserving of such a lucrative and record-breaking contract, it is Trout. If you go by his awards alone, it would be hard to argue that anyone could demand more. At just 27 years of age, Trout has won 2 American League MVP awards, has finished second four times and is a seven-time all-star. Not bad for a player just beginning his prime. If he continues on this pace, he could very-well contend to be the best player of all-time. However as much joy this may bring to the Angels club and fanbase, it brings much sadness to others, particularly the Phillies. The NL East contenders were very much thought to be the preferred future destination for Trout, especially with their recent signing of Harper. Their new signee has already been hinting that he would be recruiting for Trout to join in Philadelphia, but it looks like he no longer needs to lobbying. It should be interesting to see what the final details of the contract will entail, particularly if there are any options or out-clauses. For instance, Harper demanded a no-trade and no opt-out clause, ensuring that the two-parties will be married together over the life of the contract. This deal for Trout would void his current six-year, $144 million contract, and would run through the 2030 season. For his young career, Trout has a .307 average, 240 RBIs, 793 runs and a WAR of 64.3.